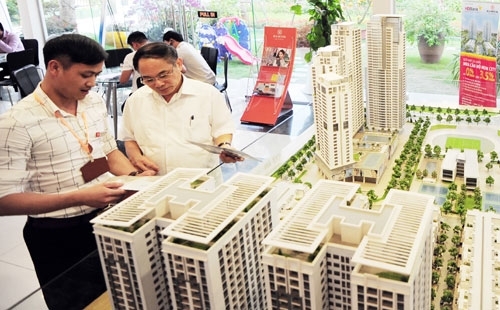 Recently the Hồ Chí Minh City Department of Natural Resources and Environment published a list of 77 apartment projects that have been registered as mortgaged at land registration offices. The list has been submitted to relevant offices in the city as well as uploaded on the website of the Land Registration Office. This is the first time in Việt Nam that property mortgages have been announced publicly with details of names, addresses, contracts, relevant organisations, and mortgage registration dates. Most of the projects were mortgaged under credit contracts signed in 2015 or 2016, though some go back as far ago as 2010, especially in Tân Phú District. Consequently, the developers of many of the projects have already sold flats in them to buyers but are yet to provide them with the title deeds (also known as red and pink books). The action is said to have been prompted by the Harmona scandal in the city a few months ago. More than 600 buyers of apartments in the Harmona in the city’s Tân Bình District got a rude shock one day when they were told their homes would be seized by a bank because the developer had mortgaged the building and failed to repay the loan. The building was handed over to the bank on June 9, meaning nearly 2,000 people living there had to leave their apartments despite already making full payment. This kind of violation by developers has become a cause for serious concern in recent times. But the action has not come in for universal approbation as one might have expected. True, some analysts have hailed it, saying the risk faced by home buyers has been growing since a large number of transactions are done before projects are finished, and this move would promote transparency in the property market and protect buyers. But many objections have been raised. Many critics point out that the way the city has announced the list of mortgaged projects has deeply worried both buyers and developers and even affected their business. They have a point: the list is simplistic, only mentioning names, addresses, contracts, relevant organisations, and mortgage registration dates, and not the precise status of the projects. In many cases, the developers have not even borrowed money but had to mortgage the development to a bank to obtain the guarantee mandated by the Real Estate Law. The law requires developers, before selling or leasing unfinished properties, to obtain guarantees from banks, who will compensate buyers if the sellers default. So clearly there is a case for making it explicit why a development has been mortgaged: to borrow money or for getting the bank’s guarantee. 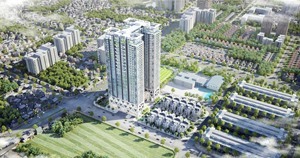 The simplistic list has begun to cause unnecessary misunderstanding between developers and buyers, according to critics. Many buyers, on discovering their properties are mortgaged, have anxiously sought clarifications from the developers as well as local authorities. Some individual customers, whose mortgage details have also been listed, are very unhappy that their private information has been made public. 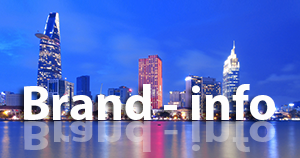 Many developers are now fearful that potential buyers will become wary of buying from them. Analysts insisted that the exact status of the mortgages need to be published as well since it is the main reason for conflicts between developers and buyers. One way the tension can be eased is by banks closely monitoring loans to ensure the developers use them for the right purpose, which would ensure projects are completed on schedule, they added. Are bonus shares really a reward? Early in August the Vinacomin-Đèo Nai Coal Joint Stock Company will issue 13.44 million bonus shares to its shareholders to increase its capital. The chartered capital will increase to VNĐ294.4 billion (US$13.08 million) after the issuance. Last year the company had paid a dividend of VNĐ600 per share. Many companies in Việt Nam issue bonus shares instead of paying cash dividends, a strategy that divides critics since while it rewards shareholders, it also unduly dilutes the company’s equity. Two other coal companies, Cọc Sáu and Cao Sơn, also plan to issue bonus shares to their shareholders in August, with the former set to issue 19.49 million shares. The two companies’ shares are now traded at VNĐ6,000. Not only coal companies but many firms in other industries also opt to issue bonus shares. Lâm Thao Fertilizer & Chemicals Joint Stock Company, for instance, recently decided to issue more than 35 million bonus shares. Its chartered capital is expected to rise from the current VNĐ778.3 billion ($34.6 million) to over VNĐ1.128 trillion. 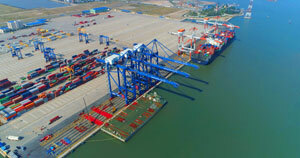 The Southern Freight Forwarder Company (STG) has issued 1.7 million bonus shares and also made a rights issue, issuing 55.1 million common shares to existing shareholders at VNĐ10,000. The money from the issuances will be used to buy other companies and redeem its bonds. The question is, what do shareholders think about getting bonus shares? If the company is performing well, most shareholders are happy to get bonus shares since they can avoid paying the income tax (of 5 per cent) on cash dividends. But if the firm is not doing well, they do not want bonus shares since the share price is likely to be low. To issue bonus shares, a company transfers a part of the reserve to the capital account, thus increasing the capital. But analysts said that the bonus shares of the above companies come from share premium, development funds and profits retained over the years, while the shareholders are by definition already their owners. This means that shareholders do not get any reward from the company since it is tantamount to taking their money and giving it to them. So when are bonus shares actually a reward for shareholders? The analysts said they would be actual rewards only when they are issued from the company’s social welfare and reward funds meant to respectively ensure the cultural and social welfare of the firm’s employees and reward them for outstanding achievements. When the company issues bonus shares from those funds, its equity will increase, while employees will receive shares instead of rewards.